CRL glass and glazing systems make Build Show debut ..
C. R. Laurence (CRL) will exhibit its leading range of glass doors and shower doors, architectural systems, and glass processing tools and accessories for the first time at the Build Show, as part of UK Construction Week 2018. The impressive 72 square metre stand, located on B530, will showcase many of CRL’s best-selling and most innovative solutions that visitors to the show can see and learn about for the first time. Among these will be the new CRL Langle Al-Wall Rain Screen system. Creating a protective, modern envelop around new and old buildings, the system is quick and simple to install with no need for glass cut-outs. With plane and imbricated glass façade options, the Al-Wall Rain Screen is made from premium coated aluminium, for a highly durable and long-lasting finish. Equally intuitive is the popular CRL 2018 TAPER-LOC system, enabling glass balustrades to be completely installed from the safe-side, eliminating the need for scaffolding, cutting installation times and providing safety and security for installer and end user. Visitors to the Build Show can benefit from live demonstrations of this unique system’s installation by CRL’s team of experts. CRL’s Juliette balconies are very easy to install too. The system comprises of four connectors that are easy to anchor to wood, concrete or steel fascias, and two handrails to secure the glass in place in just a few minutes. Internal glass and glazing solutions will also be on show from CRL, including its large range of matte black shower hardware, and the best-selling Serenity shower sliding door, both of which respond to current trends towards minimal design in the bathroom. As ever CRL’s high-quality designs are down to the last detail, with the manufacturer’s Compact-X and Laguna sliding doors that feature enhanced double soft-close system. 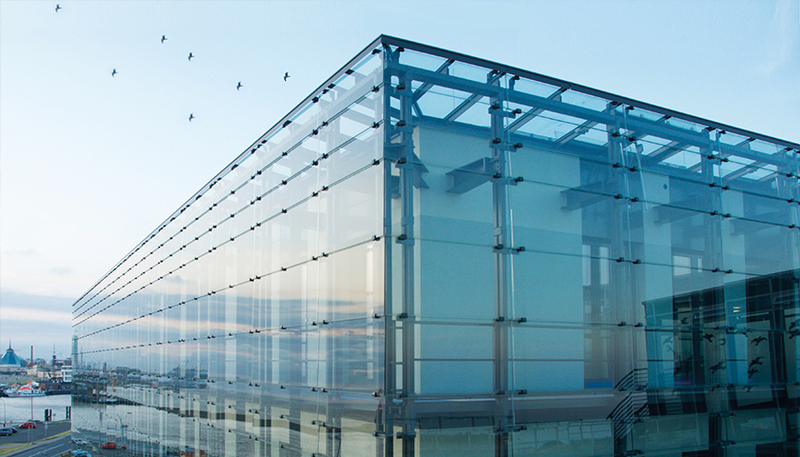 To find out more about glass and glazing systems by C. R. Laurence please click here.